USB Host Shield is an add-on board for Arduino development platform. The shield provides USB Host interface, allowing full and low-speed communication with USB devices – keyboards, mice, joysticks, MIDI, digital cameras, Bluetooth, and many others. Thanks to new interface layout it is now compatible with more Arduinos – not only UNO and Duemilanove, but also big Mega and Mega 2560 work with Standard variant of this shield out of the box. No more SPI re-wiring and code modifications – just solder included stackable connectors (2×3 ICSP connector’s female side should be facing down), plug and play! Supports Google ADK. 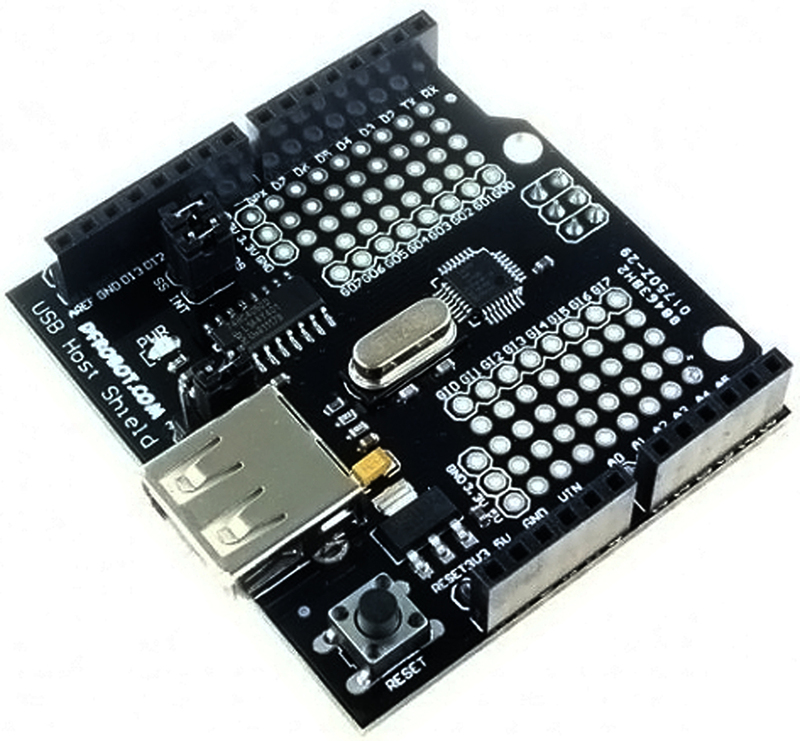 Get USB Host Shield for Arduino (SKU:DFR0138) from DFRobot Store or DFRobot Distributor.